While there are several program out there that will take images, make thumbnails and build webpages, most fall short of the primary goal of a MacIntosh - good user interface. I have attempted to correct this shortfall as well as trying to give you more control of what your webpage looks like without getting into HTML. Image2Web allows the user a high degree of control over what the webpage and shows a real-time preview - giving a What-You-See-Is-What-You_Get (WYSISYG) interface. 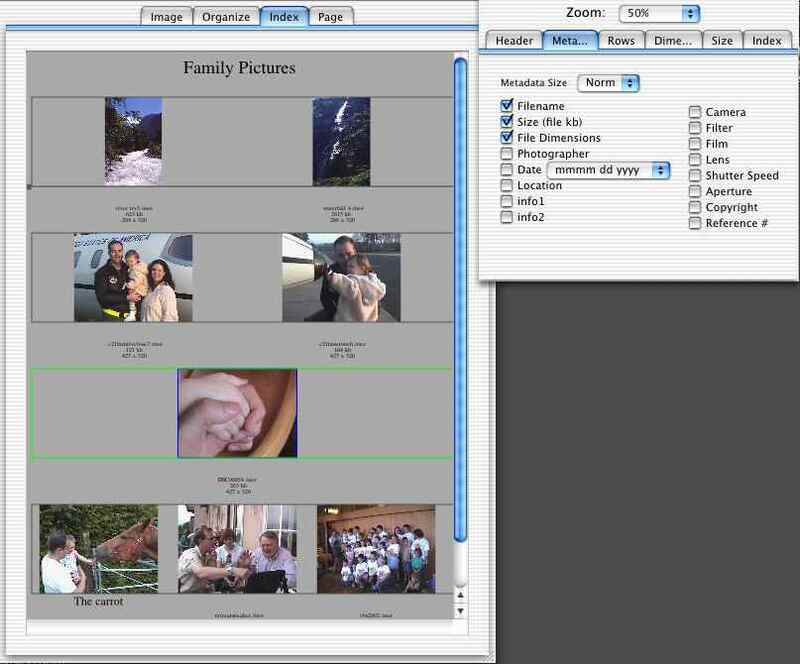 Image2Web gives you the most control over making a website from images of any program. You open up the images, add titles, etc, move them around, select many options for the output. Then hit generate and you have an index and image pages ready to be uploaded to the web. Directly import jpeg, tiff, gif and pict - no conversion needed. In the index page, select the number of images per row, or use a variable number per row (e.g. one image of the first line, four on the next, etc). For both index and image pages, you select the display dimensions - same height, same width, % of original, or independent. Very helpful when using images from different sources (camera, scanner, film scanner) which can have different image dimensions. Allows captions and comments for each pictures. Pulls data from digital camera's embedded info (from the EXIF data structure) and loads it to the metadata. Embeds captions, comments, and metadata into the image so it can be reused if the image is used in a different website. Allows bulk loading of metadata, either by all, blank fields or selected images. Makes for adding info to your images a snap. Burn borders and/or copyright into your images. MAX SIZE - you can compress using the typical 1 to 100% compression. Or you can specify a maximum filesize (50 kb) for both the thumbnails or the main images. Added file management (rename and delete files). If you have problems let me know the source and results of them. I will try to fix the bug and make a new release. This software is functional with only minor bugs. I have tested it and have not found any serious problems. However, if you use it, it is at your own risk. System Requirements, OS X 10.3. Click to download a version (Image2Web-Puma) which works with OS 10.1 (tested) and 10.2 (untested).